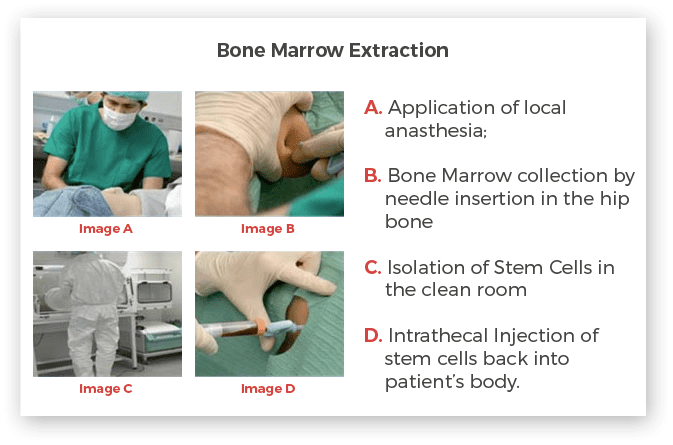 At Advancells we are exploiting the most potent stem cells isolated from patients own Bone Marrow or Adipose tissue or may be both depending upon the assessment. Our top priority is to provide very comprehensive, individualized treatment pattern which is best suited for the patients undergoing treatment. 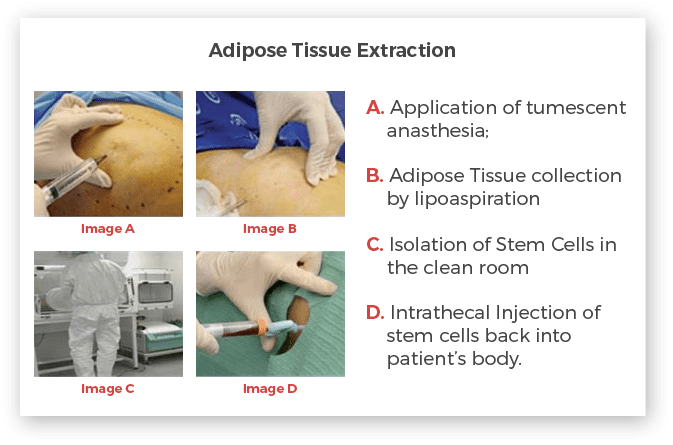 The specified amount of samples will be extracted from the patient’s own body on the intimated date and time, with the application of local anesthesia. 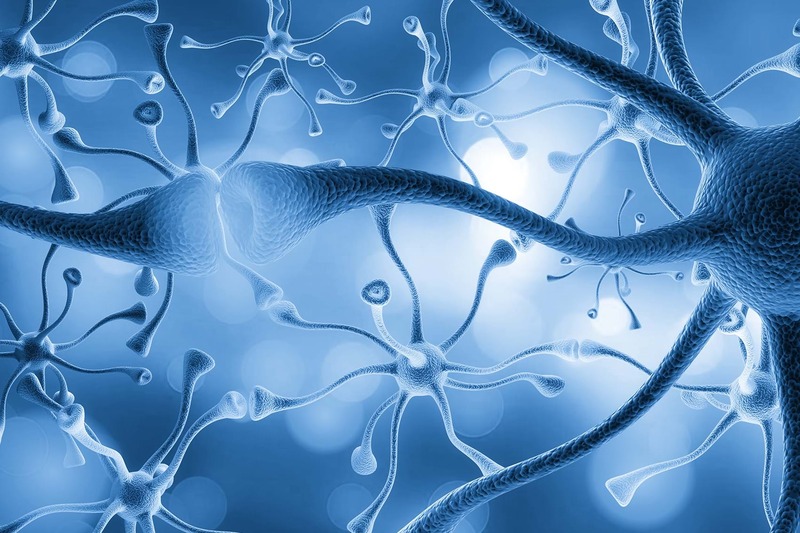 The entire procedure takes around 7-8 hrs, however, in case of extracted from both the sources the patient has to be with us for a little longer time..
Intra-thecal Injection: Stem cells will be infused through cerebrospinal fluid via lumbar puncture. In a post treatment, care, the patient will be asked to visit the doctors after a specific period of time, for some rehabilitation programs, including assessment of tremors, physical behaviour, emotional behaviour.